Correction: I stand by everything I said about the male lead singer for Thrift Store Cowboys except his name. I was working from incomplete personnel info, and I mistakenly identified him as Kris Killingsworth. In fact, Daniel Fluitt sings his own words, which makes a lot more sense. Mea culpa. Thrift Store Cowboys have pounding drums and a throbbing bass that they top off with three guitars, including screaming lines from the two lead players. Thrift Store Cowboys have an inventive drummer and solid bass player; to that they add acoustic guitar, banjo, accordion, and fiddle, for some wonderfully creative arrangements. Lead singer Kris Killingsworth has a voice with the same quality as Sting’s, but Killingsworth uses this voice to release pent-up emotions in a completely unmasked way. Lead singer Amanda Shires sings in an intimate, somewhat breathy alto that sounds like someone confiding a secret. All of this could easily describe at least two bands, but there is only one. All of this could describe an album that comes apart at the seams, with too many different styles adding up to chaos. Chaos threatens all the time here, but Thrift Store Cowboys never succumb to it. In the end, Light Fighter is an album about not falling apart, but barely. The varying arrangements actually serve to strengthen this theme, and it adds up to an album of real power. The second song on the album is Bright Fire. This one is an all out rocker. It’s a very good example of this kind of song, but, if it had been the only song I heard, I probably would not have accepted this album for review. I enjoy subtlety and quieter arrangements. But luckily, I knew there was more going on here. In the course of discovering this album, I found that the outright rockers like Bright Fire and Regardless are some of the hookiest songs you are likely to hear. The quieter songs like Scary Weeds and Nothing are more acoustic, and they have a feel that I would call gothic Americana. You Can’t See the Light is the perfect place to hear Kris Killingsworth’s vocals at their best. The song is about a man who goes emotionally numb on learning of the death of his brother, and the song is the moment when he is finally able to unleash his feelings, all in one burst. That is exactly what Killingsworth’s vocals sound like throughout this album; the songs sound like he has to sing them, because there is no other way for him to release his emotions. Amanda Shires sings lead only on the two songs here that she wrote, Scary Weeds and Lean Into the Sway. Some decent quality horror films have a sequence where a young couple become more and more frightened as omens and portents accumulate; Shires conveys that feeling perfectly in Scary Weeds. Lean Into the Sway is a song of slightly requited love; both the love and a hint of desperation come through beautifully in Shires’ performance here. So, with just two songs to do it, Shires shows off her impressive emotional range as a singer. She gets more opportunities to show off the emotional range of her fiddle playing. She can vary her tone from a smooth near-classical sound to a fearsome sawing sound that she uses perfectly to convey a sense of menace. I don’t think I have ever heard a fiddler who could make such a wide range of sounds on purpose, and use them so well. 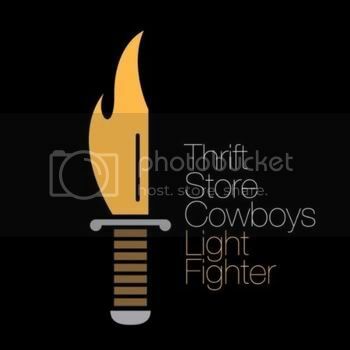 The lyrics on Light Fighter are spare, with additional layers of meaning conveyed by the instrumental arrangements and performances. 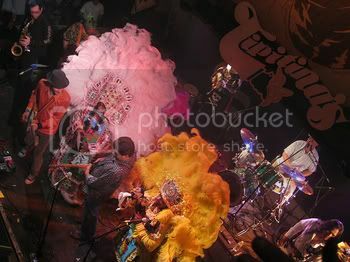 Nine of the songs are by Daniel Fluitt, with two by Amanda Shires and one by Cory Ames. All share this quality of word economy. Thrift Store Cowboys have been together now for some time, and the writers clearly understand the talents of the band they are writing for. 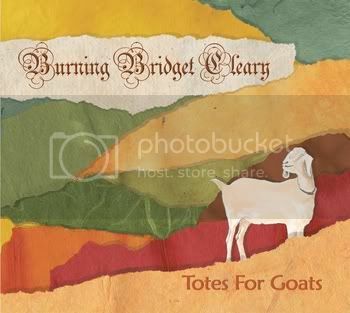 I have singled out Amanda Shires’ playing for praise, but all of the musicians do a fine job here. It’s just that the contributions of the others are more subtle. This is a band that understands that each song needs something different to make it work, and there is more than enough talent here to give a wide variety of songs exactly what they each need. The strong emotions here will keep Light Fighter from being an every day listen for me, but they also make me recommend this one highly. Almost three years ago, I made my first blog post, on Star Maker Machine. The theme was songwriting, and the song was The Queen and the Soldier. I am posting it now because many of my readers may not have ever seen that post, but also because this is a song I am forever coming back to, and each time I hear something new. What strikes me now is that neither the queen nor the soldier have names. Some very specific things happen in the song, but the two characters are generalized. This happens all the time in fairy tales. Even Beauty and Snow White, for example, are not really names. These stories represent patterns rather than actual people. 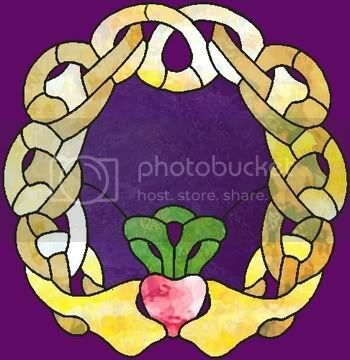 The things that symbolically happen in these tales are repeated through generations. So it is with The Queen and the Soldier. It is not necessary for the actual participants to be a queen and a soldier in her service, but these symbolic roles define the parameters of the relationship. Nor does every relationship with these roles have to end as it does in the song. Suzanne Vega’s song is not a prophecy, but a warning. But is she warning the queen, the soldier, or both? I leave that as a question for my readers to contemplate. It is said that everybody is Irish on St Patrick’s Day. I suppose that that means that all musicians are Irish musicians for the day as well. Most of the ones in this post are, but, more to the point, all of this music is informed by traditional Irish folk forms. And yet, these songs are quite different from one another. These artists have taken the tradition and had some fun with it. Let’s see what happened. 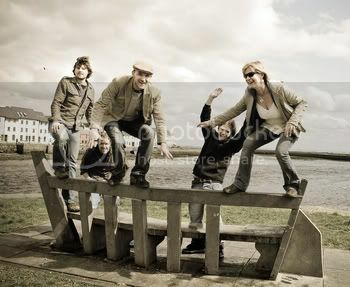 Fling is a five piece band that hails from Dublin. Foregone Conclusion is, I believe, an original tune, but of a type known as a slow air. The song opens with the melody played beautifully on the flute, but there is a background drone which sounds like a bowed bass. Later, guitar and stand-up bass join in. That bass is the ringer here, and what keeps this from being traditional. But it’s a great sound. On their faster numbers, Fling also adds drums. 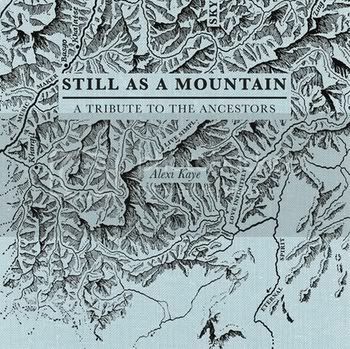 They have an obvious love of their land’s traditions, and their updating is done with intelligence and passion. 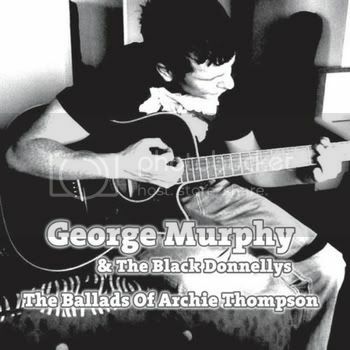 One could notice that George Murphy and the Black Donnellys have included The Foggy Dew and Star of County Down on their album. These are two old chestnuts, and they have been done in corny versions too many times. But Murphy and Co also have versions of songs here by Bob Dylan and Pete Seeger, just to name two. So they are not going to descend into cliché. The songs here are all given an Irish accent, but there are also rock flavors, although the instruments are mostly acoustic. George Murphy’s voice has a rough quality that makes the rock approach work well. Ballad of Archie Thompson is one of the quieter numbers, and it is also an original. The song has a wonderful traditional quality. The lyric presents a man who has been so long at sea that he longer has any place on land to call home. Now, as he gets older, he finally has cause to regret this. That is not my situation, but I found the song very moving. 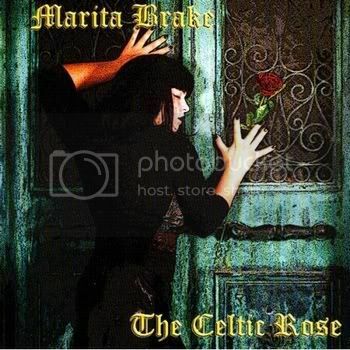 Marita Brake, more than any other artist in this set, is the reason for it’s name. Brake is not Irish at all, but she felt inspired to create an album of Irish-flavored songs. It may sound strange, but the results show that Brake has a real feel for this material. In particular, Bonnie and Her Bold Companion really sounds like a traditional ballad, complete with magical elements. But, like all of the songs on this album, it is an original. The arrangement is spare, mostly guitar and percussion, and that suit’s the song perfectly, and shows off Brake’s beautiful voice to the best advantage. 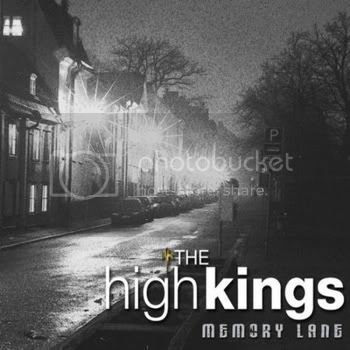 The High Kings include in their ranks a Clancy and a member of the Furey family. Here is another version of Star of the County Down, as well as Whiskey in the Jar. But once again, we have a marker to let us know that this isn’t an exercise in cliché. In this case, the unusual cover is Eric Bogle’s Green Fields of France. What makes this album work is that the Four members of the band are fully emotionally invested in the songs. Boolavogue is one of those patriotic ballads the Irish do so well, and this is a wonderful performance. Barleyjuice is another matter. This is a punk-folk band, in the model of the Pogues. The songs here are drenched in alcohol. You can smell it as you listen to Molly’s Girls. Molly’s is a cramped pub, and you can see the closeness of the walls in your mind. 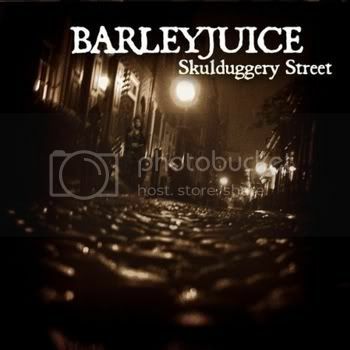 I find it amazing that Barleyjuice gets the sound they do, considering that all of the instruments played on top of the drums and bass are acoustic. The blend of blues harmonica and accordion on this song is also a surprising delight. Welcome to the 2011 Irish music festival on Oliver di Place. The plan this week: first, this For a Song post to kick things off; next, a Spotlight post of five songs by Irish and Irish-influenced artists, in time for St Patrick’s Day; and finally, I just got album today that I was hoping would reach me in time, and that will be this week’s album review for the weekend post. The normal posting schedule will resume next week. 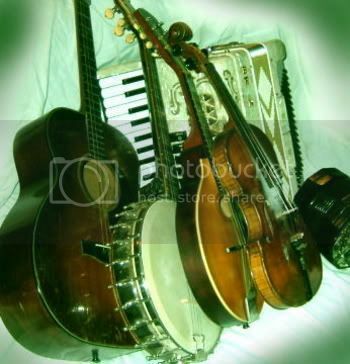 The songs of Irish musicians are filled with lovers’ partings. Often, he is going to America, while she gets left behind. Sometimes, the song is sung by the man, after he has been in America for some time, and has had cause to wonder if he made a terrible mistake. 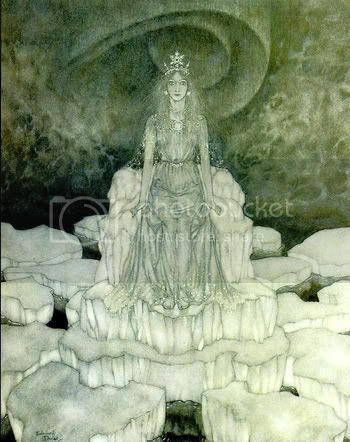 Other times, she is the narrator, and she decides to come after him a after a long absence. Or she stays at home and pines for him, knowing he will never return. The Irish Maid is different. The song is narrated by an unidentified passerby, in the form of an overheard conversation. Here the couple is at the point of parting, and she begs him not to go. He swears his love, and she offers several possible bad outcomes. In the end, he goes but swears to return. I like the fact that the story may have a happy ending. We are not told whether he does ever return, but, at song’s end, it could happen. I also love the fact that the beauty of the couple’s love is reflected in the description of the natural setting in which the song takes place. In researching this post, I found a handful of cover versions of The Irish Maid, but none use the rhythm heard here, which is so unusual for Irish music. To me, it really works beautifully. Blog business: I had the great pleasure of attending a house concert last night, with Brittany Ann opening, and Pesky J Nixon headlining. Brittany Ann’s album is less than a year old, but the guys in Pesky J Nixon were able to let me know that their new album is in the writing stage now. I will have that one as soon as it is available. Based on what I heard last night, I‘m looking forward to it. Meanwhile, it has been to long since I updated you on artist fund drives. Samantha Kushnick‘s drive is coming along, but she could use a boost about now. Meanwhile, Stringbone has two weeks to go, and could really use an angel or two to jumpstart things right now. Please help if you can. Thank you. Jazz may be thought of as a musical nation. Within it are states, each covered by the same national laws, but also displaying regional differences. The common history goes back before the swing era, but swing is a good reference point for the current set of songs. The nation of jazz has visitors; some only drop in, and then return to their native lands; but others stay and make this nation their new home. At a given point in an artist’s career, it can be impossible to tell who is a tourist and who is an immigrant. Some of the immigrants form little enclaves, where the accent from their previous home never quite fades away. 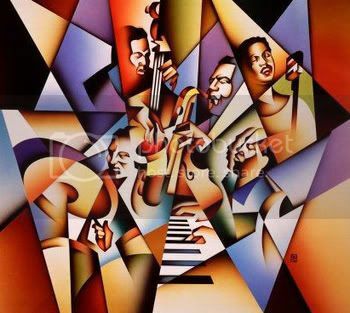 All of this is to the good; it keeps the national language of jazz rich and diverse. Here then is a mix of natives, immigrants, and tourists in the land of jazz. I’m not entirely sure who is who in all cases, but all have worthy contributions to make. 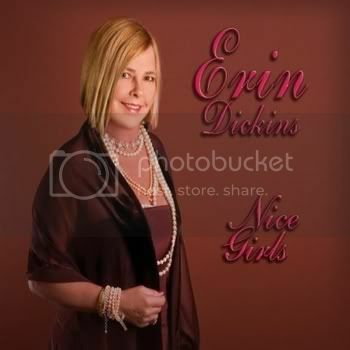 It’s hard to believe that Nice Girls is Erin Dickins’ first album in her own name. She was a founding member of Manhattan Transfer almost forty years ago. Since then, she has worked with a diverse group of artists, including James Taylor, Talking Heads, and Jaco Pastorius. But this album makes clear that the jazz of the swing era has always called out to her. The songs on Nice Girls have some touches from later jazz: an accordion here, a cello there. But Tain’t What You Do is a straight ahead track, and Dickins hits it perfectly. The band makes a big sound, But Dickins sings in a natural unforced way, and she more than holds her own. Dickins also has a tight sense of rhythm that really helps put this one over. 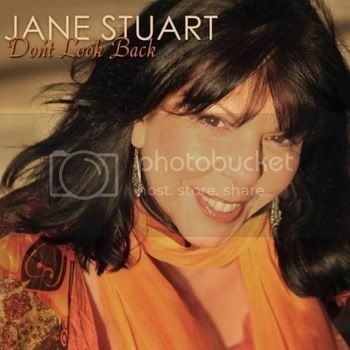 Jane Stuart’s album Don’t Look Back opens with the song I Just Found Out About Love. Oddly enough, so does Erin Dickins’. But they are two very different singers. Stuart has a soulful voice, with the kind of gospel shadings that bring to mind the classic R & B singers. But Stuart is certainly singing jazz. She plays with time, stretching or compressing notes and phrases to enhance the emotionality of her vocals. Stuart’s take on Eleanor Rigby is a perfect example of this. She starts out pretty much on the beat, but then she starts getting ahead or behind it. You can tell that this is no accident. She makes “all the lonely people” really come alive for the listener. Her voice intertwines with the guitar part here, and really makes this Eleanor Rigby a thing of beauty. 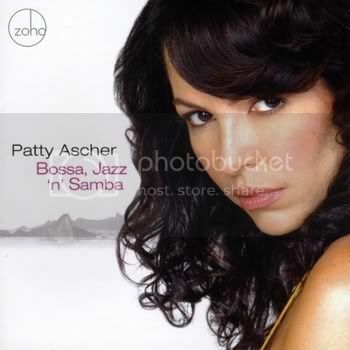 I’m not sure how Patty Ascher is a Brazilian name, but that’s where she’s from. Brazil is one of those enclaves I mentioned in my introduction. On Sunrise, we hear Ascher’s gifts as a singer in a spare setting. The band sets up a rhythm that rocks back and forth, and so do Ascher’s vocals when she joins in. The use of both electric and acoustic guitar, plus the sensual purr of Ascher’s voice, give this one all the sunshine you could want. Elsewhere on the album, Ascher and her band are joined by a large-sounding string section. Sunrise shows me that Ascher does not need this help. Put her voice with this small combo, and she has all she needs. 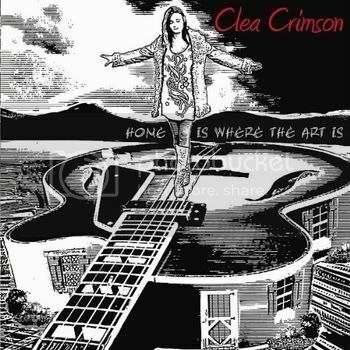 Clea Crimson may be a visitor or an immigrant to the land of jazz; it’s too soon to tell. She has a voice with more than a hint of playfulness in it, and she shows on her album that she knows how to use this voice equally well in a pop or jazz setting. The album closes with a stunning jazz-gospel performance on a song called Sing to Me Darlin’. But Creepily Addicted is just too much fun not to post. Crimson’s playfulness is on full display here, and this song needs it to work. The lyric could be frightening if it were song too seriously, but Crimson is clearly winking at us, and it makes this song a delight. Also, Crimson shows that she really knows how to swing. Alexi Kaye tends to sound more like a jazz artist when she plays piano, while her songs on the guitar are more rock or folk influenced. On Summerstorm, we are in bebop territory. Drums, bass, and piano pull the rhythm one way, while the saxophone tugs in another. Finally, Kaye’s extraordinary voice comes in, choosing a middle ground rhythmically that binds the whole thing together. Kaye sings in a rich low alto, and her voice has an amazing quiet power. Even when the music is loud, as it is here, nothing overpowers her. Summerstorm is just one of the wonderful surprises on this album. I can’t wait to see where Alexi Kaye’s music takes her next. I love African music, but I don’t share much of it here, because I find it difficult to write about it without understanding the words. So, I have often wished that someone would recreate that particular joys of the music while singing in English. 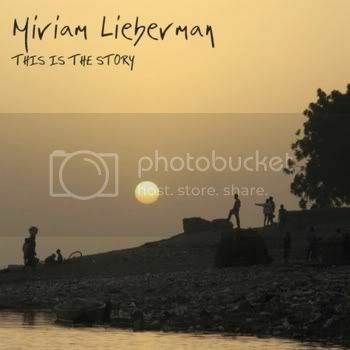 Miriam Lieberman’s new album is This is the Story, and it is pretty close to what I wished for. There are three traditional songs here among the album’s ten, and they are sung in the original Bambara, but the rest are in English. The music is not purely African, the addition of a cello on several songs being proof of this. But Lieberman works with musicians from Mali who recorded their parts in Bamako. The finished tracks, with additional musicians, were done in Sydney Australia. Miriam Lieberman herself studied the kora with the great Toumani Diabate in Mali. This is the Story is dedicated to Lieberman’s sister Lucy Anne, who died in 2009 at age 16. The song Today is All is clearly about her, and it is written for just cello, acoustic guitar, and voice. So it would be easy to say that there is nothing of Africa in this song. But, if you don’t know African music, listen to the rest of the album. You will hear an stringed instrument that sounds like it is neither a guitar nor a harp, but something in between. That is the sound of the kora, the African harp. Listen again, and get used to the sound; pay attention to the kinds of lines that are played on the kora. Now go back to Today is All, and you will realize that the guitar part is played by someone who has learned to play the kora. The notes come out in ripples that ornament the song, but also propel the rhythm. The music on This is the Story is based on the music of Mali. This music manages to be excitingly rhythmic and delicate at the same time. The drums and percussion never lay down hard beats; rather, they speak in a punctuated chatter. When electric bass is used, it alternates between binding the various parts together by providing the pulse of the song, and playing a rippling burst of notes. When stand up bass is used, there are often beautifully lyric solos. Lieberman has lived in Mexico and Brazil, as well as spending time more recently living and studying music in various African countries, and she calls Australia her home. So Rhythm and Sound has a Latin feel to it, while Mali Sadjo has a reggae beat. Lieberman’s life can be broken into segments, when she lived and heard the music of here or there. But This is the Story sounds more like the product of a woman’s accumulated experience, and the album has a wonderfully consistent quality. The album opens with a celebration of life. The song Bamako is about a New Years Eve celebration, and it is a burst of joy. But the next song, As-Salaam, could be regarded lyrically as the album’s overture. Songs of love alternate with songs of social concerns, and As-Salaam is both. Lieberman conveys the deep love of two people in few words, only as many as are needed. The chorus, in Arabic and Hebrew, makes it clear that these lovers are a Jew and an Arab. By presenting these lovers at a point where they know that their relationship is forbidden, but withholding a possible tragic ending, Lieberman makes this song a beautiful prayer for peace. I was going to present To Rise Again as my second song with this post, but Lieberman is donating half of the proceeds from this song to the Jeneba Project, which, in part, provides assistance to people who were forced to become child-soldiers in Sierra Leone’s civil war. The song concerns these child soldiers, and it eloquently and sensitively pleads their case. Rhythm and Sound is a fine song as well. Here Lieberman gives us a portrait of a woman who eases the hardship of her days by going out dancing at night. Lieberman’s third-world women are poor, but they have a nobility about them that makes us root for them, and that is certainly the case here. But I fear that I am making This is the Story sound like heavy going, and it isn’t at all. Many’s the Day is a song of romantic yearning with no social agenda. And My Time is a brush off song from a woman who has found a better man. So take the wonderful energy of African music. Add lyrics in English that are well written and connect powerfully with the characters. 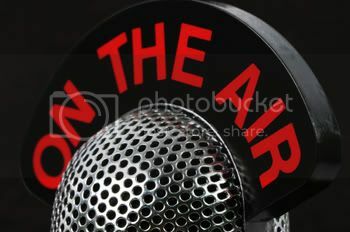 Add a powerful alto voice, which can add ripples of notes right along with the band, but always in service of the song. Stir. And you have This is the Story, an album to savor. In an alternate universe, country music had its punk moment, somewhere around the time actual punk emerged. In this other dimension or timeline, Nashville was flooded by a wave of bands and artists who rebelled against overblown productions and slick commerciality. Their music was fast and loud, and pundits thought that Music Row could just ignore them, and they would go away. 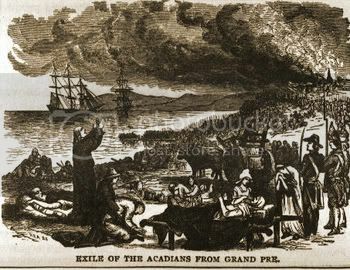 But these rebels came out with Country Music Television, (remember, this is an alternate universe), and suddenly they started to sell massive amounts of records. The first artist on CMT, (“I want my…”), was Rank and File, and Dwight Yoakum would get there in due course. In the way of these things, there would eventually be a mellower sister channel, which welcomed the “new traditionalists” like The Whites with open arms, and later broke artists such as Red Molly. The upshot of the matter was that now, thirty years later, country music is only just rediscovering huge productions and glib faux emotion. But the biggest songs are still the ones that are descended from that country-punk wave of the eighties. Let’s have a listen to some recent and upcoming chart-toppers, shall we? For country, Mick Reed’s voice would be considered a high baritone. He can deliver a biting uptempo number like Singapore Sling, complete with the word play that has such a venerable history in country music. But Reed really shines on the ballads, and there are plenty of those here. That Old Brass Ring presents an older man looking back at the dreams and plans of his youth. The song is eloquent, musically as well as lyrically, and the production is exactly right, with not a note wasted. There is one ringer on this album; the closing number is a duet with pop-jazz singer Madeleine Peyroux, and it works beautifully. 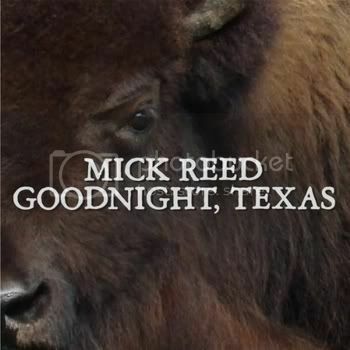 So the feel here is mostly country, but Mick Reed can do other things as well. Based on the music on Goodnight Texas, it will be well worth seeing what he does next. Any discussion of Emma Hill must begin with her voice. Hill has a rich and smooth alto that I could listen to all day. But emotion comes first, and Hill delivers that beautifully. Meet Me at the Moon, the album, is a collection of ballads and midtempo songs, all delivered from the heart. 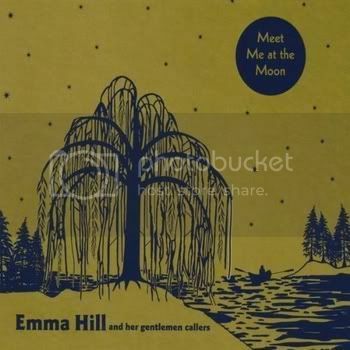 The Gentlemen Callers are a new addition since I last looked in on Emma Hill, and they give the proceedings a definite country flavor. It suits Hill beautifully, and the title track is a fine example. Meet Me at the Moon, the song, is a wonderful declaration of love from a distance. It starts with just Hill and her acoustic guitar. The pedal steel comes in at the chorus, intertwining beautifully with the vocal line. Finally, the rest of the band comes in on the second verse, and the song acquires a road rhythm that perfectly sets the mood of travel. Hill and her lover are apart, but the band lets us know that she is coming home. I stated in my introduction that everything changed in my alternate 1980s, but the music of Zoe Muth and the Lost High Rollers looks back further, to the classic country sounds of the 1950s. Muth has that classic twangy alto down, and it’s no pose. Let’s Just Be Friends For Tonight is about a woman who wants to avoid commitment as she rebounds from a hurtful breakup; most of that story comes through not in the words themselves but in how Muth sings them. The music on Starlight Hotel begins with a Mariachi blast on the opening song, and proceeds through a marvelous tour of classic country sounds. 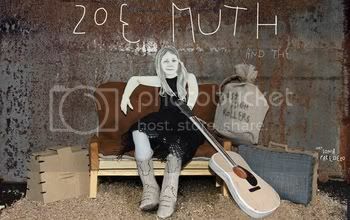 You can tell that Muth and her band love this music, and they mean every note. Starlight Hotel comes out on April 19. Watch for it. 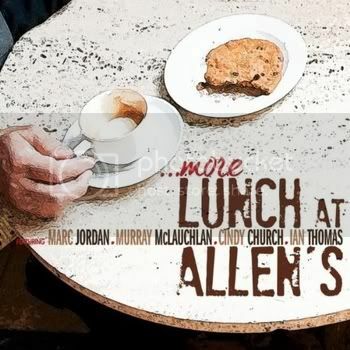 Lunch at Allen’s is a band that consists of Canadian singer-songwriters Marc Jordan, Murray McLauchlan, Cindy Church, and Ian Thomas. More… is their third album, and Church and McLauchlan cowrote one of the songs here, so the level of collaboration is a bit tighter than a Redbird or a Cry Cry Cry. The music ranges over many genre boundaries; there are tastes of folk, country, blue-eyed soul, and even jazz. Murray McLauchlan steps out for Sweeping the Spotlight Away, and he delivers a portrait of the man who stays when everyone else has gone, and cleans up the dreams of the circus. This would unbearably maudlin in some other hands, but McLauchlan and friends hit it perfectly, and make the song something profound. The album as a whole is far more coherent than it ought to be, with all of the different musical styles, and the quality is consistently high. This album does what any collaboration should: it makes me want to know more about each of the individual artists. The scorned lover is a classic figure in country music. Renee Wahl takes this archetype and plays with it a bit. I don’t want to give anything away, but keep your ears open at the chorus, and you’ll see what I mean. The song gets a beautifully rendered spooky vibe. 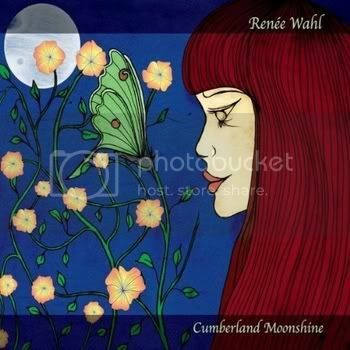 On Cumberland Moonshine, the twang in Renee Wahl’s voice comes and goes. 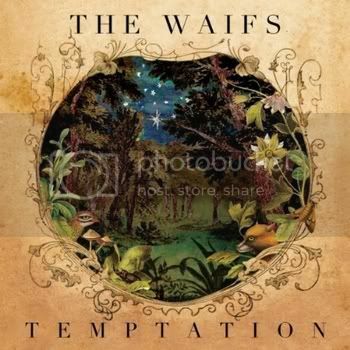 It’s not an affectation; it’s just a tool that Wahl uses to get the emotion of her songs across, and she has others. She can go from the sweetness of a Dolly Parton to almost the sharp tone of a Maria McKee, and Wahl uses this expressive range perfectly, giving each song what it needs. The music has rockabilly accents, and even a bluesy flavor in places, but it is unmistakably country. 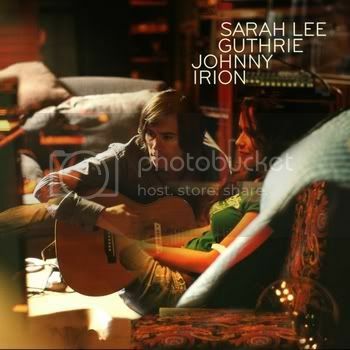 At the end of the journey in the time machine of my imagination, it is 1971, and the new album by Sarah and Johnny is out. On the cover, Sarah stands on a tree stump, head tilted skyward slightly. She wears an India-print dress and a wreath of daisies in her hair. She holds a sunflower in her hands, the blossom over her heart. Johnny kneels on the ground at her feet, off to one side so we can partly see his face. His expression is worshipful. He wears a dashiki and a headband with a matching pattern. Blue jeans with bell bottoms, and they both wear sandals. The whole thing is photographed through a filter that makes the scene look dreamlike. Forty years later, the actual album, by Sarah Lee Guthrie and husband Johnny Irion, is out, and it‘s called Bright Examples. The cover has some of that early seventies vibe, but it’s not over the top at all. Likewise the music. For the most part, this music could have been made in 1971. Most songs feature drums, bass, acoustic guitar and piano. An organ joins in often. Many songs have pedal steel parts that could have been played by Sneaky Pete back when. And there is often a chorus of background vocals. On top of this, Guthrie’s alto and Irion’s tenor intertwine and blend beautifully, giving the whole thing a wonderful creamy texture. Now here’s the funny thing. This is the kind of album I would have hated in 1971. Bright Examples is a pop-folk-soul album, and I never cared for this kind of sound. To do something like this now, most artists would play it as camp, or treat the material ironically. Guthrie and Irion play it straight. They believe in this material, and the love they express is real. It works also because they approach it with a light touch. Elsewhere, they have shown that they can each sing in full voice, and express all the emotion they could ever need. But that would have been deadly here. Instead, the vocals float, and give the album a delicate quality that saves the day. I mentioned that Guthrie and Irion are married. Usually, I wouldn’t mention the artists’ marital status, but I find it relevant here. These are songs of a couple who have become comfortable with each other, but who still remember how in love they are. It’s a magical time in a marriage. There are still doubts sometimes, but there is also the assurance of having made the right choice. This comes through most clearly for me in the song Company I’m Keepin. This love still has an innocent quality that comes through even in a song about fending off a rival. That happens in Target on Your Heart, and the song feels like a teen romance song in all the best ways. In Dupont Circle, Guthrie and Irion are able to present a romanticized view of a musical couple who are busking and playing coffeehouses when they can; this one really hits home for me. Butterflies has the most strikingly beautiful arrangement on the album, with an accordion part that works beautifully. This one is about making a path together through life, and it is completely convincing. And so it goes throughout the album. The songs all concern love in one way or another, and they are all convincing, which is the most important thing that has to happen with this kind of material. Musically, that innocent 70s vibe serves the material well, and resonates with me more than I would have believed possible. There is only one musical misstep. Dupont Circle opens with the sound of obviously electronic percussion, and it breaks the musical mood somewhat. They could have used a bass drum and a tambourine instead, and it would have preserved the mood better. But that is a small complaint about a very fine album. This one took me by surprise. Let yourself be surprised as well.